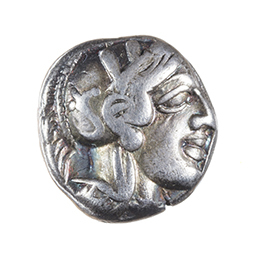 Head of Athena r., wearing crested Attic helmet with three olive-leaves and floral scroll. Rev. Owl standing r., head facing, olive twig, all within incuse square. 4,2 gr. 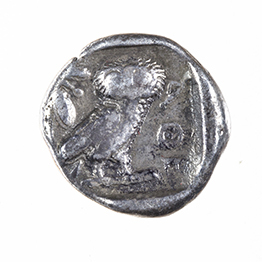 D. Sear , Greek Coins, vol. I, 2527 var.